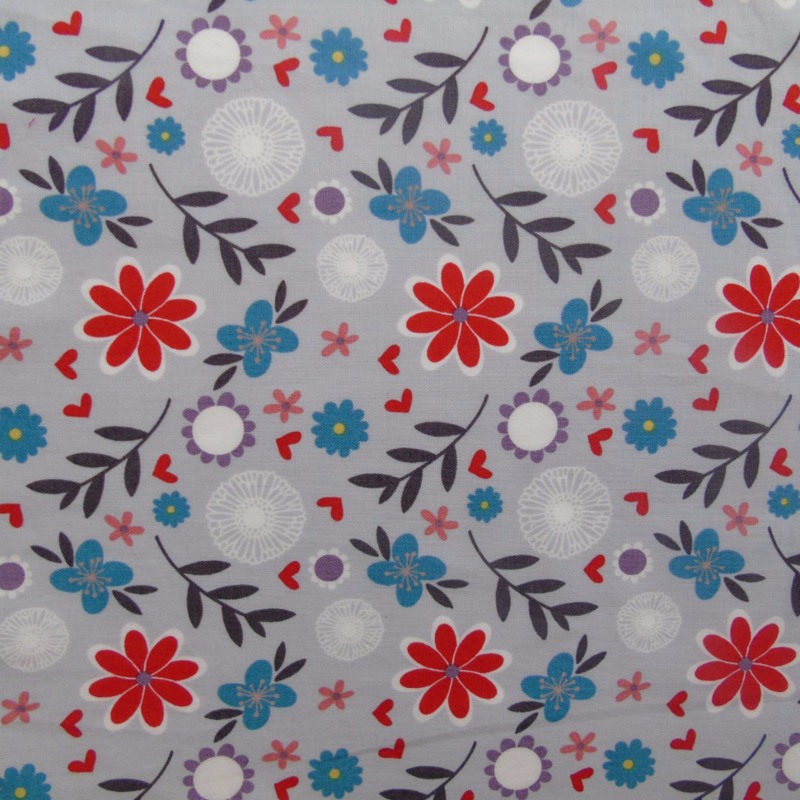 This is a beautiful retro floral print, incorporating red, turquoise and white flowers and leaves, and little red hearts too, on a soft muted lavender/silver grey background. It's a very stylish print, and will certainly make your dog stand out in the crowd! 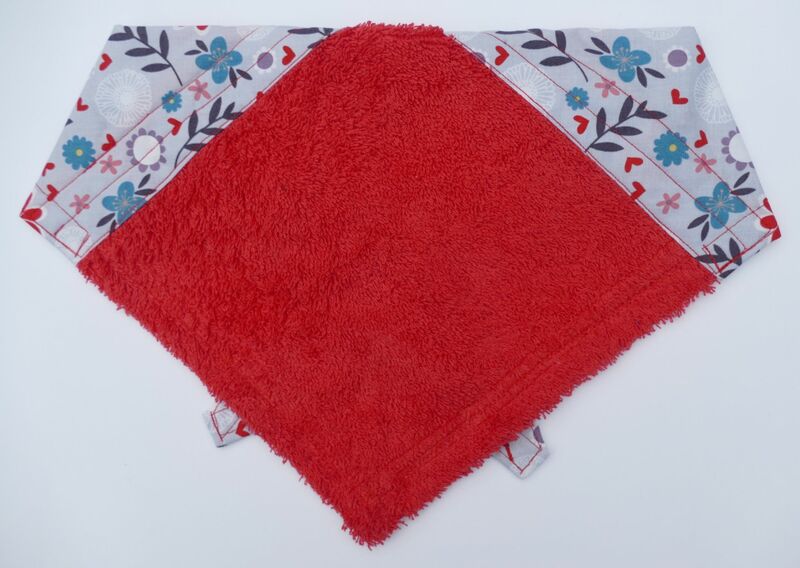 This is from our premium range of high quality designer cottons, and makes a beautiful Droolbuster. 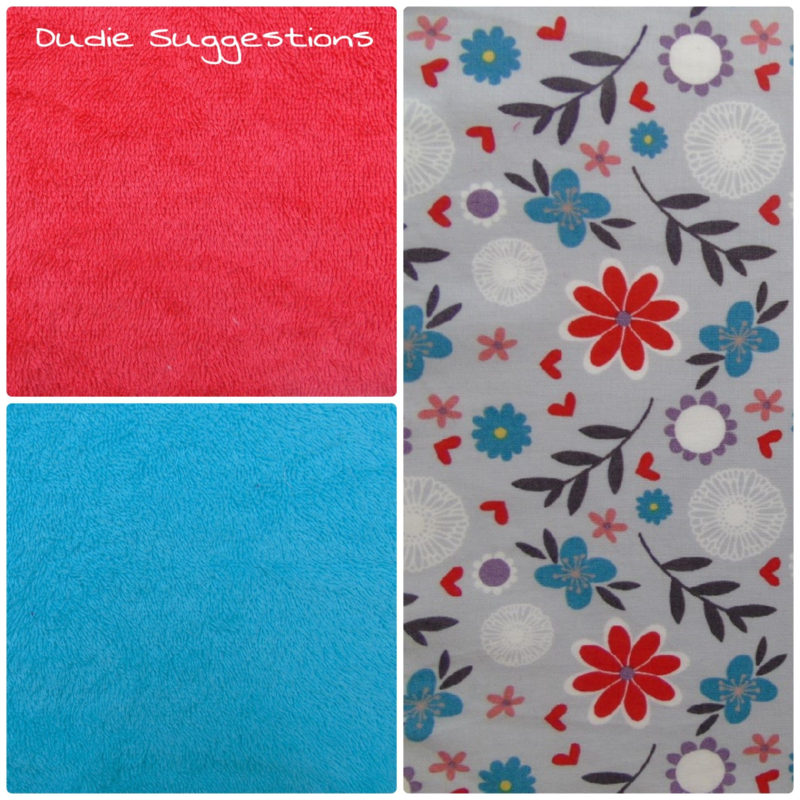 It looks particularly stylish when combined with the Red or Purple Terry Towelling options. Droolbusters are a perfect and practical accessory for any dog that drools. They are available in 6 sizes.